Franz West is known for his special way of integrating the art spectator into his works. What to do with his autograph in this article? 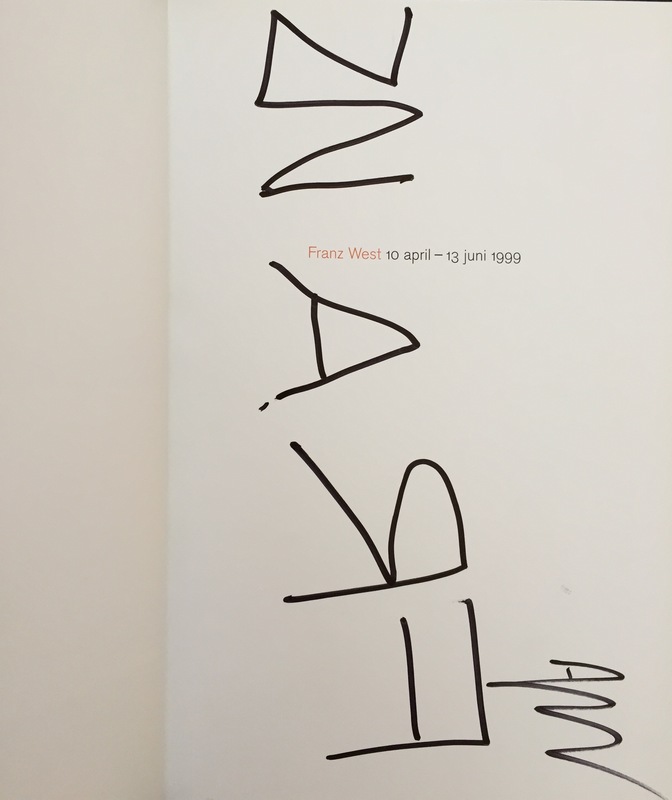 In the book “Franz West schrieb”, the editors Mrs. Ines Turian and Mr. Ernst Ulrich Obrist make the so called “Schriebe” of Franz West available to the public. Allow me to make a link to the famous René Magritte. Magritte is one of the artists, who used words, notes etc. in his paintings as part of “communication” with the viewer and thus tried start a dialogue. The “(art)object” is talking to the “(art) subject” (–> which is the viewer). 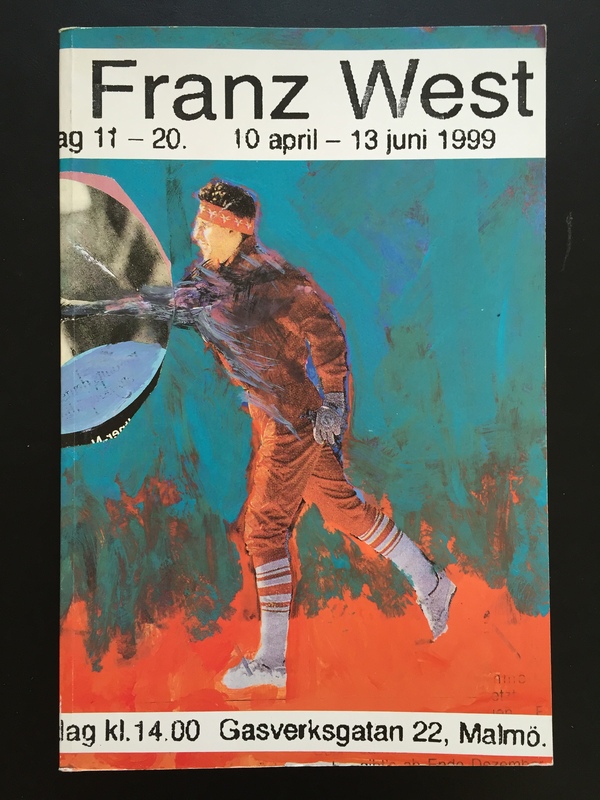 For me, Franz West further develops that kind of communication, going steps ahead and let the “art subjects” act with his artwork. He integrates “subject” and “object”, let the the “subject” and the “object” get into a symbiosis and thus transform the piece of art into “performance” or how I want to call it “spiritual capital”. 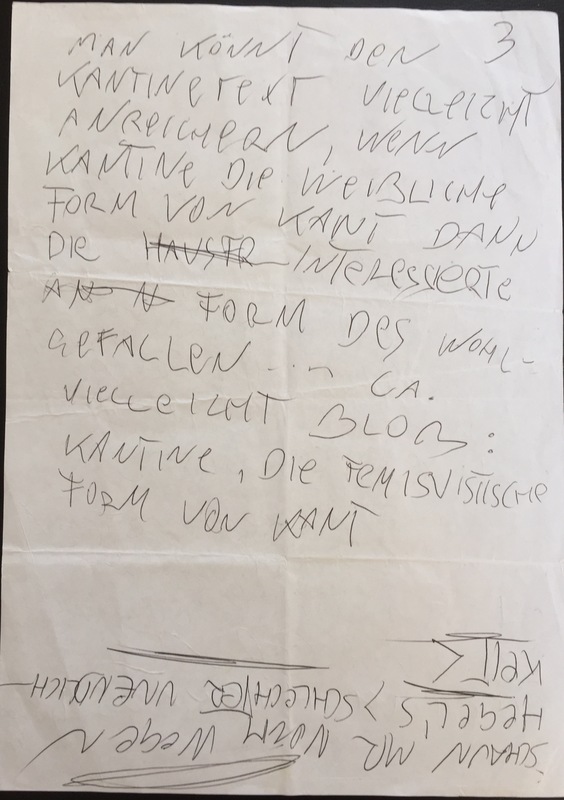 So I am not wondering that “writing” or “describing” is something important for Franz West´s oevre. He puts it on a same level as his art work or his performances because they just belong together. As long you are feeling, smelling, reading and seeing you are experiencing and understand what “spiritual capital” is all about. 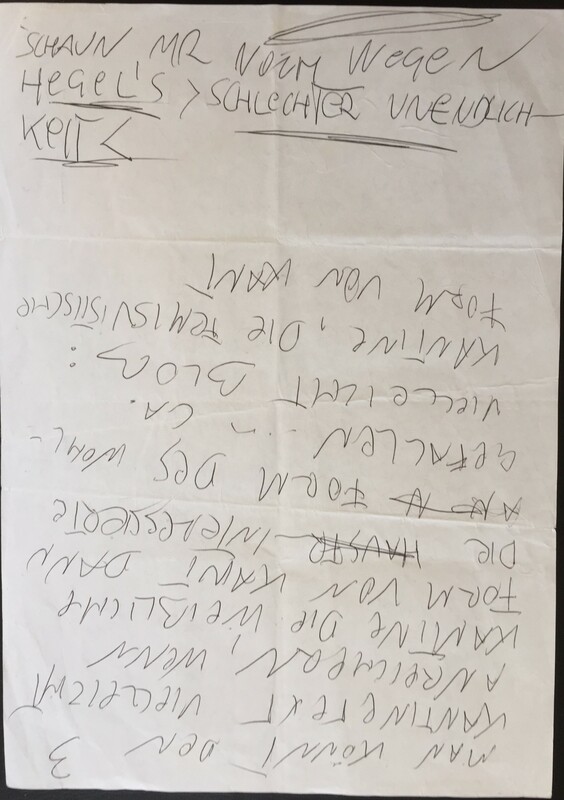 I am very lucky to be able show one of the original notes (or “Schriebe”) from Franz West. 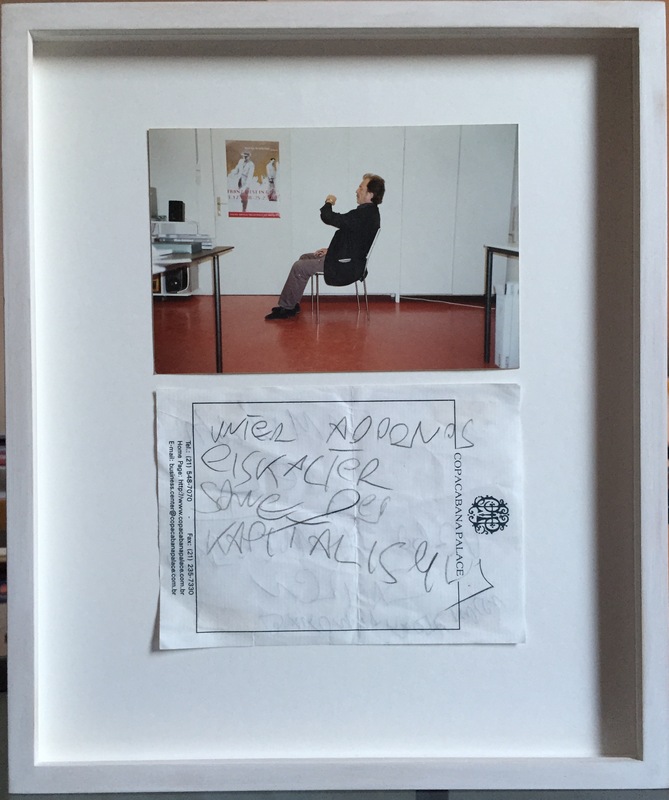 Here Franz West is referring to Theodor W. Adorno (see http://en.wikipedia.org/wiki/Theodor_W._Adorno) “under Adornos ice-cold sun of the capitalism” which he writes on a notepad of the brasilian Copacabana Palace hotel. May the power and the art & color of Franz West´s words inspire you as they inspire me!